For the tens of thousands of Australians that will experience a stroke this year, the first few hours are critical to their survival. 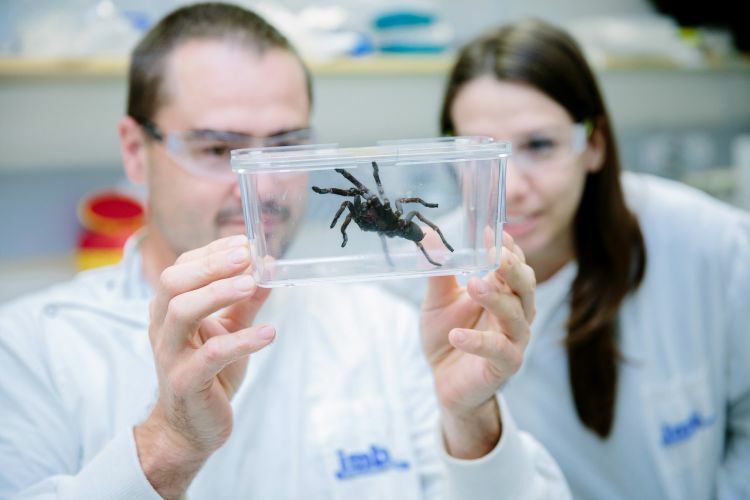 A UQ researcher has developed a drug candidate from funnel web spider venom that could save crucial time during stroke treatment, and save the lives of remote Australians. By supporting Not If, When – the Campaign to Create Change, you can help make this breakthrough a reality. Imagine watching every second, of every minute, of every hour tick by in the back of an ambulance on a dusty outback road to the nearest major hospital. Imagine knowing that your loved one’s brain function – their memories of you, your family, your life – and their ability to breathe and move is slipping away. With every moment that passes after a stroke, brain cells deteriorate, and so does a patient’s chance of survival and recovery. 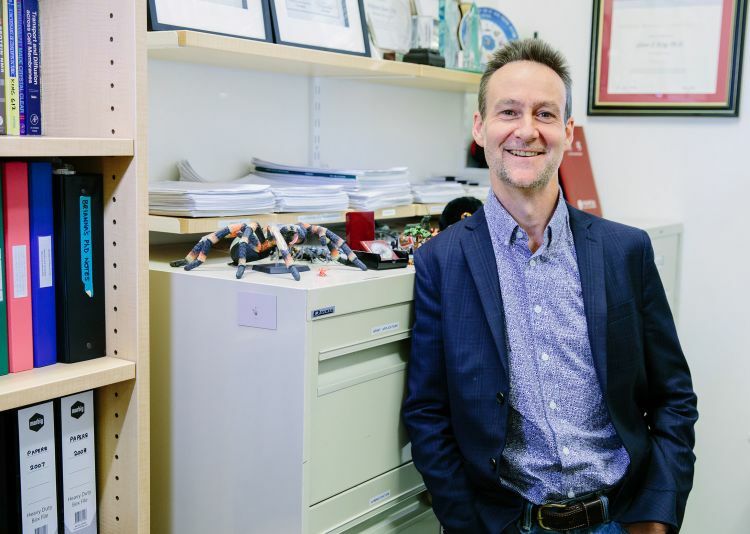 According to world-leading biochemist Professor Glenn King (pictured), from UQ’s Institute for Molecular Bioscience (IMB), time is crucial and the only available treatment must be administered in a hospital within a short period after a stroke. “Four-and-a-half hours. That’s the window we currently have to administer the only available stroke drug." “Four-and-a-half hours, in which time you must already be within a hospital, be scanned and be with a specialist ready to administer the drug. But a new drug candidate has emerged that could provide more time and better recovery options to survivors. And, critically, it can be administered immediately by a first responder, such as a paramedic. 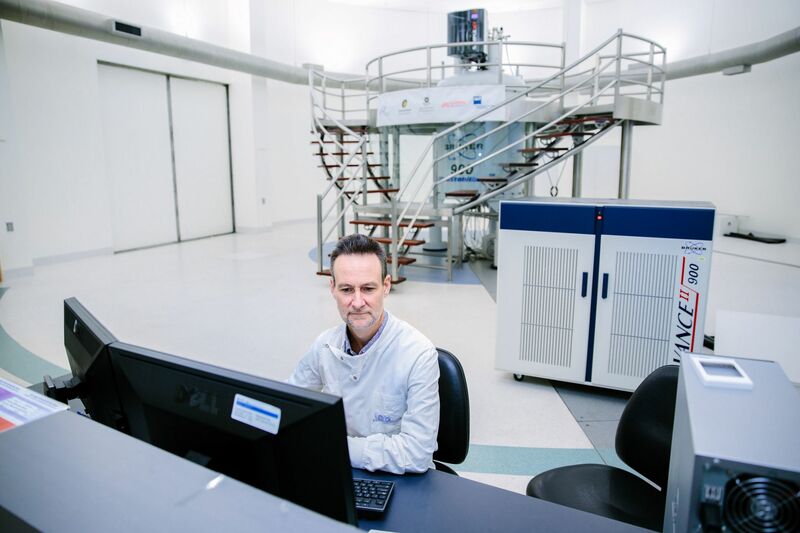 King and a team of researchers have developed the drug candidate from the venom of the Fraser Island funnel-web spider, and they have found that it can stop brain death after a stroke. Dr Volker Herzig and Dr Sandy Pineda Gonzalez from UQ&apos;s Institute for Molecular Bioscience. “Venoms are extremely complicated mixtures of ion-channel modulators, so we use them to try to find molecules that hit our target ion channel,” King said. “In this case, the spider venom shuts off a specific ion pathway in the brain that is responsible for triggering massive cell death after stroke. “It can protect the brain even when delivered up to eight hours after a stroke, and patients wouldn’t have to wait to get to hospital before receiving it. The drug candidate has been successful in early animal trials, but King said further funding was needed to push it through to clinical trials. “Not only have we seen that this drug protects the brain in our early trials, but we have seen a range of additional benefits that could prevent damage in the heart and other organs during various procedures. Stroke is the third biggest killer in Australia. In 2017, more than 56,000 people experienced new or recurrent strokes, and more than 475,000 Australians continue to live with effects of stroke. To help get this drug through clinical trials, visit Not if, When – the Campaign to Create Change.